Don’t call her ‘cutie’! 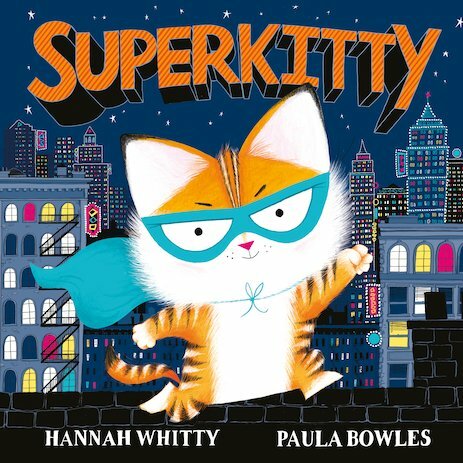 Kitty’s fierce, she’s furry and she’s fighting crime! Kitty is fed up of answering phones at the Sensational Superhero Agency. She dreams of catching criminals with the superhero squad. But none of the others take her seriously. They ALWAYS leave her behind. So when a call comes in about a stolen dinosaur bone, Kitty decides to take matters into her own paws. Can she win the race to catch the crook – and prove that small is MIGHTY?